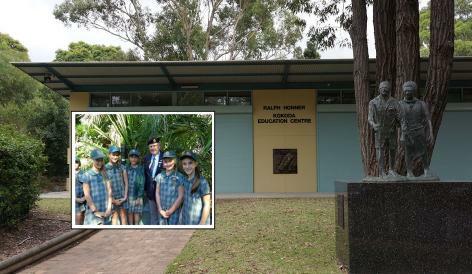 The Memorial is seeing an increasing number of schools attend for excursions. In 2014 alone a total of approximately 3500 students visited the memorial some coming from as far as Port Macquarie. School excursions are generally structured. Students are given an overview of the Memorial on arrival and introduced to Kokoda Veterans. To maximise understanding of the historical accounts of the New Guinea campaign along the Walkway, students are formed into groups led by a New Guinea Veteran. We are very fortunate to still have these wonderful men assist us on a voluntary basis, many of whom are now in their early nineties. Students are encouraged to explore and read the material displayed, and at the same time learn from the Veterans .